During last years engine development real-time reflections where given an upgraded. Now shadows, global illumination and dynamic lighting all effect the water and ice reflections in real-time and are now considered feature complete. With all the new effects all reacting to the reflections the solution now provides a complete render and is much more realistic looking. Here we can see the Global Illumination blended nicely into the reflections in the water which looks cohesive. In this GIF we demonstrate the new dynamic lighting onto the reflections, the addition is massively better than the earlier versions. Objects that are on top of the water reflections or ice can also cast dynamic lighting onto the water and ice. Here we can see a floating coffin that is projection dynamic light onto the water reflection layer. This was not possible in the earlier builds. Here we can see a sword projectile traversing as it casts a shadow in the water reflection and its lighting. During last years development I completed my interactive particle system. With the completion of the feature and optimizations the particle budget has massively been increased. In the past I had to always decide which particles where to be the special interactive particles and had to use them very sparingly. Now every particle can be fully interactive with no performance impact that is noticeable or impactful in a negative way to the CPU and GPU. With the addition of the new rest state the player and game objects can now interact with the particles after they have stopped from an impact or end of a bouncing sequence. When a particle collides with a game object it can now switch to a rest state it will then switch to my new hybrid decal technology that is also partially based off the interactive particle system. The new effect and feature make the technology complete and feel very similar to Nvidia's PhysX technology. Here you can see particles dripping off the Axe onto the floor which then can be interacted with after they have stopped moving. Here you can see the player hurl Axes at the floor and see how they shatter and spawn interactive particles that represent the destruction bits and pieces. In this GIF you can see the interactive particles that are spread all over the floor from the Axe projectiles that have been shattered. In this GIF the player has just cut a bunch of vegetation which is using the interactive particles technology for that added detail and realism. You can also see the player is kicking up the broken Axe fragments. Here we can see the player is kicking up vegetation shards that have been cut by his equipped sword using the weapon spin ability. A nice feature that is part of the game engine is that game objects can project real-time shadows against specific layers of sprites according to the primary Moon or Suns position and other light sources. In the video I am only showing the shadows reacting to the Moon and Sun which dictate the position of the real-time shadows. Here you can see that the real-time shadows only appear on the floor, grass and other sprites that are not in the back ground layers and are far away. This GIF demonstrates the cool real-time shadows projected on the sprites as the player traverse the game world. The effect produces a nice depth effect and adds a more detailed render. Here we can see the same real-time shadows being projected during the Snow cycle, again none of these shadows are pre-baked. Any gear or weapons that are equipped will change the shadows form and correspond to how you character looks. Another cool shadow effect that has been recently added is real-time cloud shadows. The moving clouds above are now projected on certain sprite layer zones. The cloud shadows provide a nice effect and work well with the dynamic lighting. This effect can be turned off in the graphics options and provide another degree of detail. Here you can see what the advanced cloud shadows look like when they are disabled and enabled, the GIF provides a nice comparison on what the difference looks like. In this GIF you can see how the advanced cloud shadows look disabled and enabled during the Snow cycle. During last years development both interactive particles and the new hybrid decals both gained the ability to cause water impact splashes when each unit collides with a water feature. This effect was something I had wanted to implement for quite some time and I am very happy to say it turned out really well. The added detail and feedback that is relayed from the water impacts makes the particles, hybrid decals and water all feel more cohesive, fuller, complete and polished. Here you can see the feature demonstrated as the player passes through the waterfall. Note how each water droplet that impacts the body of water causes water splashes from each units impact. In this GIF the feature is turned off and you have no visual feedback and the water droplets are just ignored as they pass the impact check zone. Here you can see the player is using his weapon spin skill and is spraying the water droplets from the water fall and you can see the awesome effect as each droplets impacts the water feature below and causes individual splashes per particle impact. In this GIF the feature is turned off and shows the massive difference when the new effect is disable in contrast to it being on in the GIF above. During last years development another major addition to the game engine and game was a hybrid interactive decal system. Much like the interactive physics particles the new hybrid decal system is based on many of those same concepts. Regular decals are spawned at a rest state and don't move this system allows for interaction plus life after spawning and during their entire life span much like the interactive physics particle system. Since the life span of a hybrid decal is generally always longer than a particles life span it will always accumulate much larger quantities in a game screen. This is why GPU acceleration, efficient multi core CPU pre-processing, advanced load balancing where all favored and necessary in it's design. The main goal of the hybrid decal system was to add that final piece to the interactive particle system which would cover the impact state when the particle should bounce and then stop/be at a rest state. My interactive physics particle system is inspired from Nvidia PhysX design. This is why the particles and decals had to have the same persistence on impact / rest state for a certain amount of time and allow interactivity past that rest state. Your typical decal system is just a visual effect that spawns from of an object impact or event with no further interaction or change in its state from any game object. Here you can see the hybrid decals in a rest state and the players movement interacts with each decal and switches them into a moving state and then again into a rest state. A hybrid decal can be interacted with till their life span has expired. In this GIF the player is kicking up Axe shards that where produced from an Axe projectile that impacted with the ground and sprayed destruction bits all over the area. Any interactive physics particle on impact becomes a hybrid decal and is managed by a different system for greater efficiency. Here you can see the players movement is kicking up vegetation shards that where cut by the weapon spin ability. Having the decal allow further interactivity after they have stopped really brings an extra level of detail that is really awesome and a favorite feature of mine. The feature is also important for gameplay concepts and was designed specifically for actual gameplay in Corpses 'N Souls. Last years development mainly focused on two main aspects, engine optimizations and feature scalability. Once I completed the interactive physics particles and the hybrid decal system I focused on a light weight version of both of those systems for platforms with light weight hardware. A key design requirement was to have the light weight version look as close as the full interactive Ultra version as possible. The main sacrifice that was made was after the impact when the hybrid decal goes into a rest state the player and game objects can no longer move the hybrid decals initial impact location. Also the life span of the decal is reduced to save resources. Note if any gameplay that requires a specific hybrid decal to have interaction after it's rest sate for gameplay reasons will be overridden and turned back on even if this feature is set on. This maintains the same gameplay no matter what the games settings are set to. Here you can see the full interactive version of the particle and decal systems. Here you can see the low resource version of the interactive particle and decal systems. As you will notice the players movement does not kick up the hybrid decals in their rest state. Work has been already started to ensure that all platforms are compatible with the 2DEvolved game engine and Corpses 'N Souls. It is my full intent to put Corpses 'N Souls on as many platforms as possible and have it as a true multiply platform title. 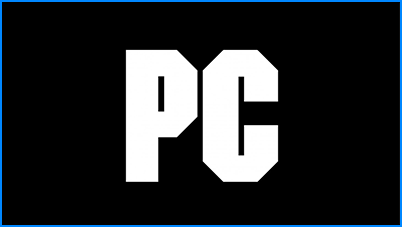 The PC platform is the first official platform that has been announced. Having said that I have all intention to also port Corpses 'N Souls to the: Xbox One, PS4 and Switch. Each port will take full advantage of the targeted hardware profile on that specific platform. The 2DEvovled game engine was designed form the ground up for the PC which is the primary platform target. Since the PC has a wide range of hardware configuration, hardware scalability has to be taken into account when being designed and constructed. Already now the 2DEvolved game engine and Corpses 'N Souls run on a 4 logical core CPUs to 32 logical core CPUs and on low end 2GB GPUs to a high end grade 1080 Ti level GPUs. Here is a list of compatible platforms which Corpses 'N Souls are planned to be ported to. Official platform announcements and dates will be made at future dates. All the HUDs in Corpses 'N Souls are fully configurable or are able to be turned completely off. Here you can see the main weapon, skill, magic, health, stats, etc HUD bar is being turning on and off. This GIF shows that the FPS HUD can be turned on or off during gameplay. Advanced CPU core, memory usage, overall CPU usage and other stats are all fully configurable or can be turned off completely while in-game. Corpses 'N Souls features a robust dynamic weather system that changes in real-time and can re-shape the environments during it's different cycles.